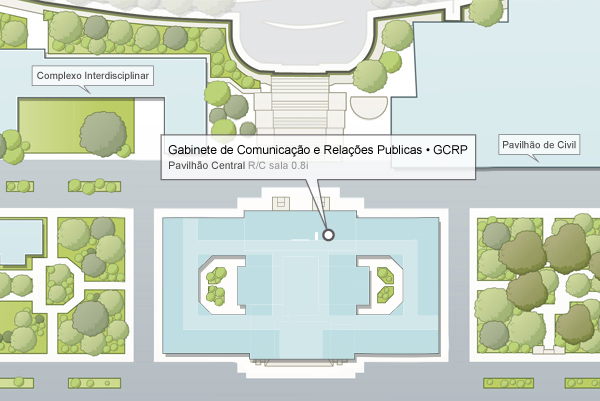 Central reception of campus Alameda (at the entrance of the main pavilion) Open from 9:00 to 17:00 (weekdays). – The merchandising Store is open at this same hours and it’s run by NAPE (whom you may find at the main pavilion reception). For the aquisitivo of items from the store via mail (with payment in advance by bank transfer) – IBAN IST | PT50001000002159574000151/BPI or PT50003503730000000303088/CGD). Contact us to the email address loja@tecnico.ulisboa.pt. Obs. : Other than this hours and/or in case of emergency call the extension ext. 2000 (if you are in campus, using a local phone) or by +351 218 418 000.